Thomas Jefferson’s girl tennis team added another win to their undefeated record with a recent 4-1 victory over Enumclaw. The Raiders girls tennis team, now 7-0 overall, conquered previously undefeated Enumclaw on Tuesday. 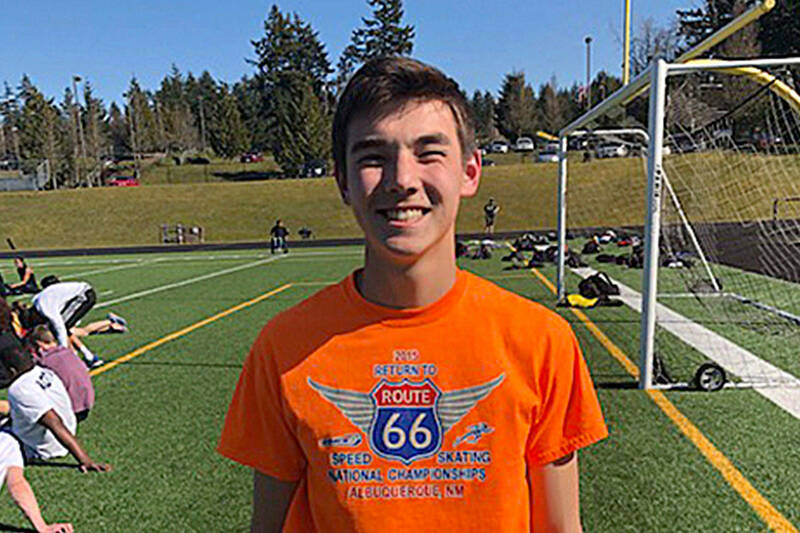 In single matches, TJ’s Nancy Cabanas defeated Enumclaw’s Keana Beals 6-0, 6-0; Tj’s Gjianni White beat Enumclaw’s Emma Tinney 6-3, 6-0. In doubles, TJ’s Mia Rosa and Ally Peterson defeated Enumclaw’s Emily Miller and Emma McKeighen 6-2, 2-6, 6-3; Enumclaw’s Lauren Bone and Amy Meneghini beat TJ’s Kelly Dillard and Grace Lim 6-1, 6-1; TJ’s Keila Kimura and Tiffany Tran won against Enumclaw’s Kaelynn Witing and Jace Vanwierigan 0-6, 7-5, 6-3. This season’s strong start is thanks to a roster studded with state veterans, said Andrew Buchan, Thomas Jefferson girls tennis head coach. TJ sophomore Nancy Cabanas placed sixth at state last year and is one of the top singles players in the NPSL, Buchan said. 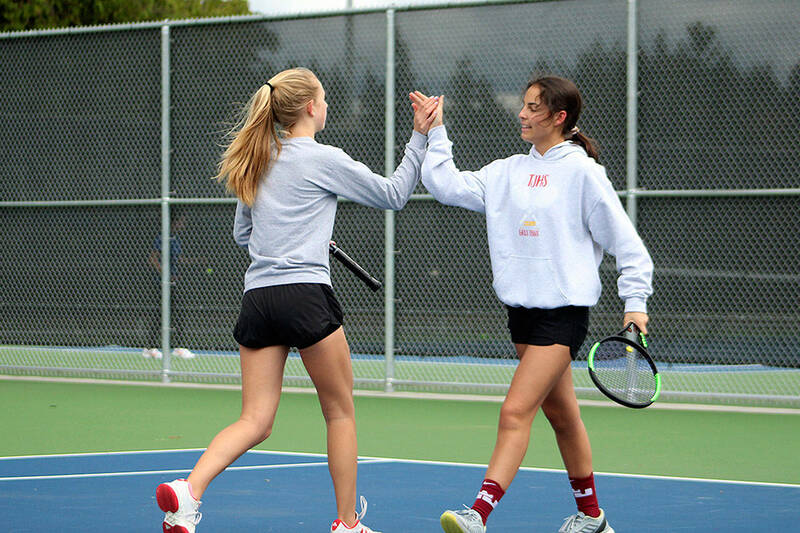 Seniors Mia Rosa and Ally Peterson won one match at state last year, and are the top doubles team in the NPSL from Thomas Jefferson. Junior Gjianni White has claimed TJ’s No. 2 singles spot, with a record of 4-0 in that position, 5-0 overall. Rounding out the varsity team are seniors Keila Kimura and Julia Sheats, juniors Kelly Dillard and Grace Lim, sophomore Tiffany Tran and freshman Margaret Steward. Buchan said all six of these players have played major contribution to the 5-0 record thus far, and will continue to do so all season long. TJ faced Todd Beamer in a double-header on Thursday with 4-1 and 4-1 victories. This week, TJ girls tennis enjoys home court advantage Tuesday, April 2 against Decatur at 3 p.m. and again Thursday, April 4 vs. Auburn at 3 p.m.